One of the best selling self help books on Amazon is 'How I sold ten trillion zillion ebooks & you can to'. The author admits his aim upfront: Selling more of his books – and he's incredibly good at it. But with respect, will these strategies work for you? The clue's right there in the title: 'How I sold'. Can you to? Maybe. Keep in mind every wanna be latest indie sensation has also read this self help manual – and they're frantically putting those ideas into practice and trying to sell their book. Good luck with that one. A reader may 'buy into' a story, but no-one buys a book just because it's published, and the author's mum/best friend/cat says 'wow this story rocks'. At the other end of the scale are those who write a novel, self publish and are content to sit back and do nothing. I'm amazed at the number of authors who post on forums, boasting that their book has no downloads, but it doesn't matter – they've achieved what they set out to do – write and publish their book. Newsflash guys! Without a reader, your book still doesn't exist. Grim isn't it? It may seem like a classic Catch 22 situation, but there is a middle way. Trust me here. I've been around the indie scene for a year now, and I'm still learning. What I've learned is this: You can't make people buy your book, but you can tell potential readers that a) your title exists and b) it provides an entertaining, value for money read. Take a moment out here and ask yourself – would you spend a couple of dollars for a good couple of hours entertainment? Sure you would! So all you as an author have to do is find your target audience, connect with your potential readers, and entice them. The best advice I received (from Sean Campbell who gives rock solid advice for indie authors) was to register my own name as a domain. Now whenever I post anywhere on the internet, if people are interested enough to google my name they discover surprise surprise! I'm a writer. Secondly, my books have been fairly well received – look – people have even left reviews. An easy painless way to get reviews is to ask for them from people who blog about books. They're usually more than happy to help out. When you start out, you will find yourself giving a lot of your work away. Think of it as free advertising if it helps. Talking of giving books away, Amazon's select allows just this – and free giveaways are an incredibly powerful way to get your books right where they belong – into the hands, kindles and hopefully minds of readers. Last month, following a very successful promotion, to my astonishment almost 20,000 copies of "A Ripple in Time" were downloaded. 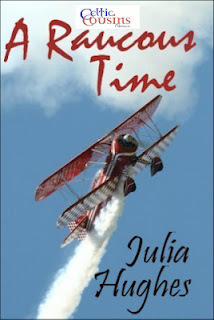 If even a tenth of those copies are actually read, and a tenth of those tenth enjoyed to the point where people want to read more stories by Julia Hughes – well I'm not very good with maths, but believe me, I'm happy to have even one reader connect with my Celtic Cousin Adventures series. 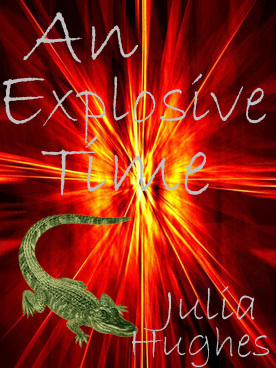 The third Celtic Cousin Adventure "An Explosive Time" is free to download from August 5 – 7 – bank holiday weekend. With seven 5* reviews, it's been described as a "fast-paced, witty, character driven tale." Visit Julia's website to discover more. Author Bio: My first job after leaving college was at the BBC helping to write scripts for their schools' programmes. 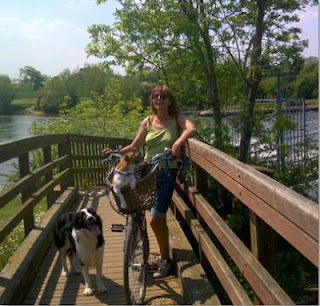 After a varied career, it is a dream to write for myself, and for the reader I'd like to be. For the past sixteen years I've lived in the last of London's villages, concentrating on supporting my two sons as they achieve adulthood. Any spare time I have is spent cycling, playing tennis or swimming. Solid post as usual, and many thanks for the mention. The 'How I did it' books really don't cut the mustard when it comes to re-use. The good ones lead to a rush that ruins whatever viability the technique had. Locke was a twitter nut - but twitter is awful for conversion these days. Hocking did 99c (as did Locke) - but 99c is not too useful anymore (the smart money is on 1p-20p offerings as they don't trigger the algorithm loss of free, but do get similar exposure. Shame it has to be done via price match and is thus out of our control). The approach has to remain the same though - Build a brand, get eyeballs on it in whatever method works this week, and that's where you've proved it can be done without a huge marketing budget. Well done! Great post,learned so much. Love your covers Julia, and a big thank you to Rachelle. This is absolutely fascinating! Chock full of useful advice for authors. Thank you Julia for reminding us that you need to be a book seller as well as a story teller these days! I'm very grateful for these generous comments from friends old and new. Thank you; thank you Rachelle, for letting me appear, thank you Jess, Jenny, Carol and Sean, I'm so lucky to have your support, and hi to Chagall and Daniel, and thank you for taking time to read and comment. Thank you so much for the candid and excellent advice. I would never under-estimate the power of social media especially good old twitter. 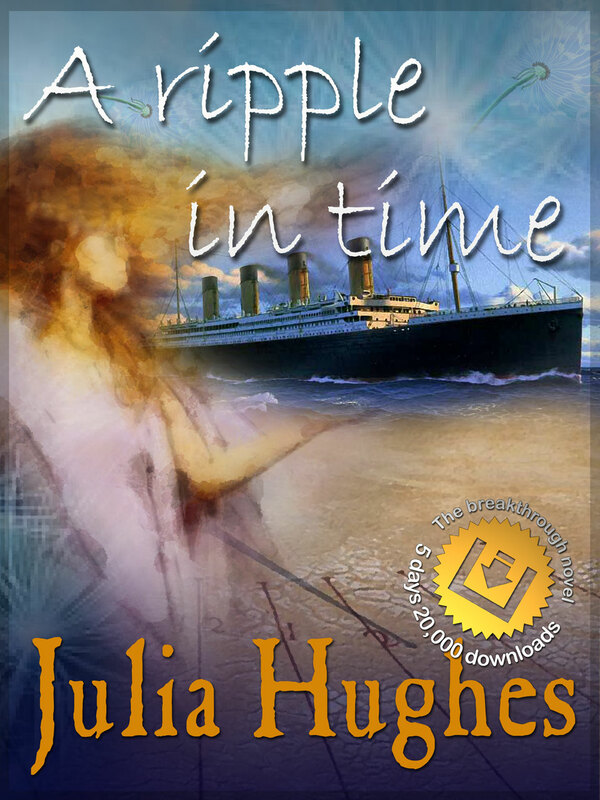 I discovered the fabulous writing and advice of Julia Hughes when I became one of her many followers and have had the pleasure of reading A Ripple in Time and An Explosive Time both of which make my top 20 books ever read. A great post about a very tough market. Advertising is a big factor in getting books read but when it comes to free advertising you pretty much have two choices - advertise where other writers aren't, though many users don't want you there either, or go to where the other authors are and get lost in a sea of people in the same situation. KDP has been good for writers on a budget (hey, how many of us aren't) so finding a new way to market books is invaluable. Knowing about Amazon's Select promotional tools is very useful so thanks for highlighting that, Julia. Here's to good sales for the Celtic Cousins! Thank you Terry, Victoria and Charlie, support from other authors is the greatest benefit of going indie, I really appreciate you taking time out your busy schedules and dropping by to comment. Great post Julia! As a book blogger I can vouch for us being more than happy to do honest reviews which I believe is helpful. I've discovered many a wonderful Indie author since starting my blog (www.katesreads.com). Including Julia! Loved "A Ripple In Time". Thank you Kate and Nikki, I hope you both know how much your dedication is appreciated by readers and authors. It's such an advantage to have respected reviewers appraise and recommend books, especially when you're an unknown first starting out.